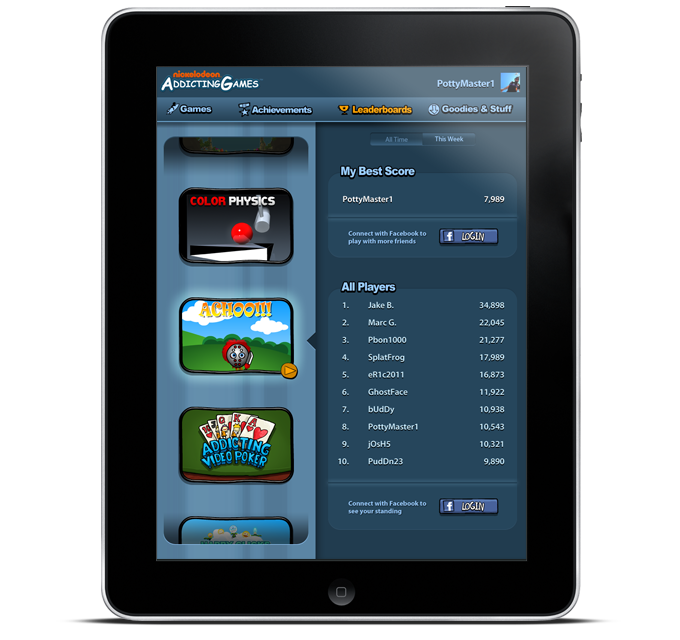 The AddictingGames compilation app was the first mobile app I designed. 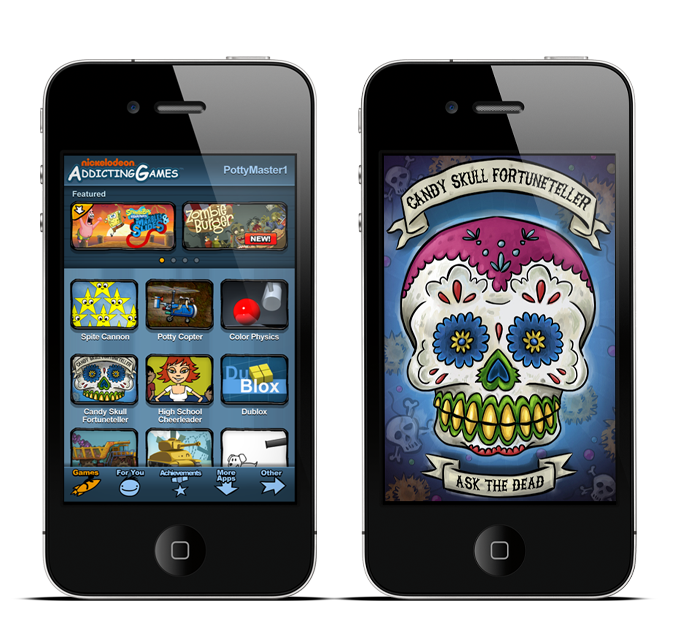 It’s a single app with multiple games in it, as well as an ever expanding set of social and ‘gameified’ features. The app was very sophisticated in that it required multiple interfaces. It served as a catalog for users to find games to play, which required a unique interface. Then the achievements, leaderboard, and social features required another unique interface. While each game in the catalog featured it’s own interface unique to the gameplay, there was a wrapper UI that all games shared as part of the app. This wrapper made it easy for the user to access the catalog and other UIs without too much friction. Over the weekend after the launch, the app reached #1 in the app store, where it stayed for a few days. In only five days, there were over one million downloads. 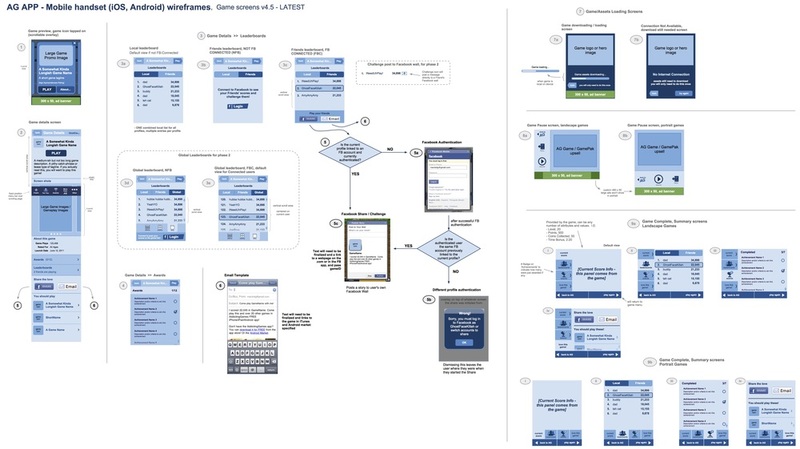 As Creative Director/UX/Visual Design lead, I am extremely proud of that accomplishment, especially considering the entire product was built in less than six months. After the wildly successful launch of the smartphone app, we pivoted to adapt the design for tablets. This was to have been the last project I worked on for MTVN before the Games Group–for the most part–shut down.